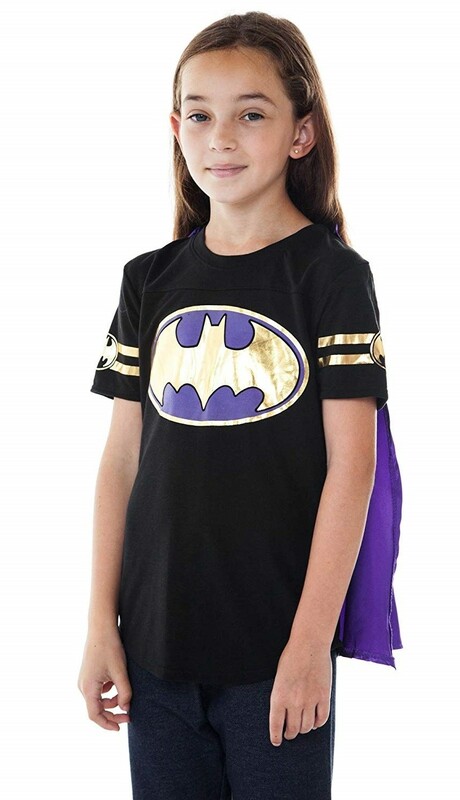 When the bat signal goes up, Batgirl is ready to answer the call! 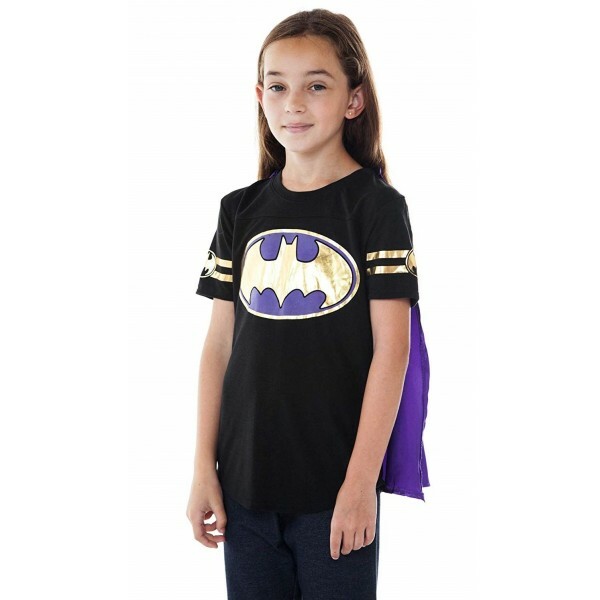 Batgirl fans will love this officially licensed shirt featuring foil accents and its very own cape. 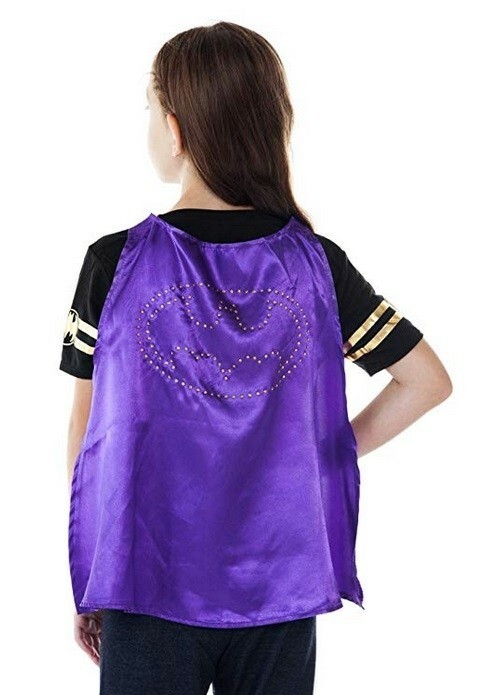 The 65% polyester, 35% rayon shirt has a foil bat symbol on the front and foil detailing on the sleeves, while the easily-removable cape features a rhinestone bat symbol. Available in youth sizes 4/5, 6/6X, 7/8, 10/12, and 14/16.